St. Patrick's Day 2019 - why do we celebrate st patrick's day? One of the greatest Irish festivals, St. Patrick's Day or Paddy's Day commemorates the death of St. Patrick, the patron saint of Ireland. A festive day for the Irish people, St. Patrick's Day is a festive public holiday the Republic of Ireland and also celebrated with much enthusiasm in places such as Canada, Great Britain, Australia, the United States and New Zealand. Sumptuous feasts, green clothes, frothy delights, joyous merrymaking with friends and family - all are parts of this grand occassion. Celebrate Paddy's Day with our marvellous St. Patrick's Day corner that consists of everything from enlightening articles on the history and observance of the holiday, cool e-cards and wallpapers appropriate to send to dear ones during the occassion, mouthwatering recipes related to the festival, exciting games and quiz associated to the event. 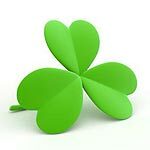 If you want to refer our St. Patrick's Day section to your friends, just click here and send this page to them. Spread the spirit of Paddy's Day with everone you know because everyone should be Irish on Paddy's Day, isn't it? 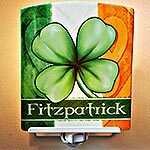 Celebrate St. Patrick's Day with TheHolidaySpot! Top o' the morning to ye!